Summary: Wireless networks are prone to cyber attacks. Be sure to take the appropriate steps to avoid leaking sensitive information. Wi-fi networks, needless to say, are literally everywhere you look – coffee shops, libraries, restaurants, and even bars. Let’s say you decide to go to a restaurant and connect to the Wi-fi network to stream some videos online and check your email. The next day, you’ve found that someone breached your email and accessed sensitive documents that you have stored. You’re unlikely to know this beforehand, but the culprit is the owner of the restaurant. Because he decided not to secure his network, a hacker was able to bypass the wireless network’s security and steal data from every person in the bar that was connected to the network itself. However, not every restaurant has a security operations center video wall to protect them from every malicious attack out there – let’s be realistic. While this example might sound a bit extreme, it’s actually realistic – and easy to do. While this happened in a restaurant, it also can happen on your own home wireless network. Note that an intricate password isn’t enough to protect your entire home network. Sure, setting up a password works wonders when you’re looking to prevent your neighbors from stealing your data. 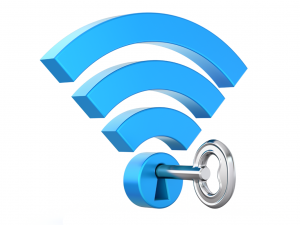 However, a more serious risk is watching a criminal exploit your Wi-fi’s poor security measures and work around the password to obtain sensitive information. And, this can all be done without the need for a password. Changing the name of your Wi-fi network makes it more difficult for malicious hackers to know what type of router you have. If you allow the default name to float around, cyber thieves will automatically be able to tell how secure of a router you own. But, if you throw them off the path by changing the name, you’ll be one step closer to a more secure network.